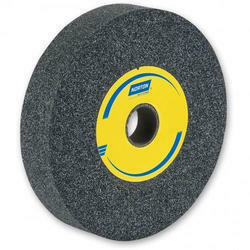 By keeping our sync with the evolutions, we are immersed in bringing forward a wide consignment of Norton Abrasives. Made-up underneath the assistance of deft personnel, these products are well tested to retain their excellence at the doorstep of our patrons. As well, our customers can get these from us at most feasible rates. 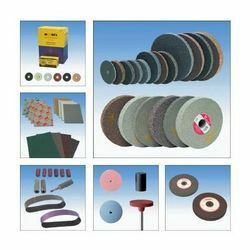 We are an Authorized Dealer of Grindwell Norton Abrasives, efficiently providing in the market an extensive collection of Emery Paper, Emery Cloth, Emery Roll & Sand Paper. Size: 4" 5" 7" 9"
Catering to the requirements of our clients, we are involved in offering Carbide Grinding Wheel. 1. High cut rates in view of low thickness2. Job material savings because of low thickness3. Lower power consumption4. Enhanced machine life5. Minimum burr generation while cutting6. Double reinforced to provide safety.Works very well on SS sheet cutting, tube cutting, PCBcutting / dairy industry / investment castings. Norton high bonding and gasketing foam tapes have, for over 30 years, delivered high performance design solutions for hundreds of sealing, glazing and bonding applications in automotive, construction, industrial and electronics.